Join us on Planet ZikMe ! 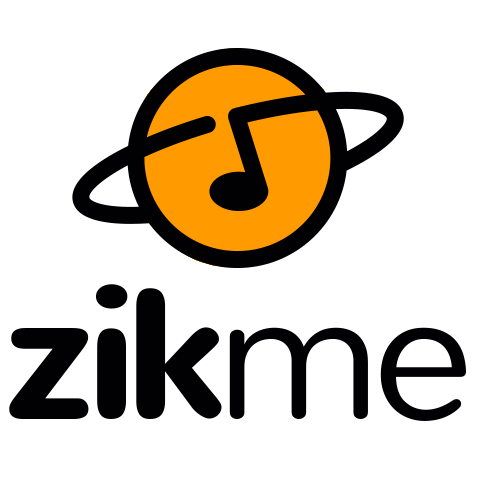 We’d like to present you something that we’re pretty proud of: ZikMe now has a face, which fits exactly its spirit : the planet of music! We’ve been working with a few graphists, testing a bunch of ideas, trying more fonts than we ever seen in our whole lives. This was a tricky work. Indeed, it was easy to go on a music note to create a logo. But, as our main point here is the encyclopedia, it had to make ZikMe feel “universal”. That is done, and we’d really like to thank LogTek for his incredible work here. After a few tests, we finally managed to make it clear, meaningfull, and actually … pretty cool ! We would also like to thank Ututkusumadhata, who kindly created a few logos, which were actually pretty amazing too. His tips and advices were more than helpful. We hope you like it as much as we do, and we welcome all comments about it ! The blog is now live!